Series 27. 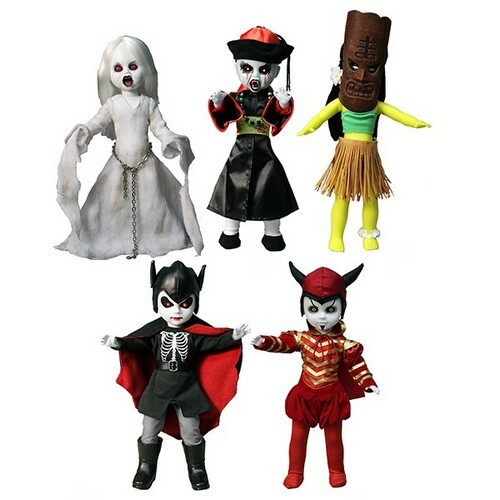 Banshee (Ireland), Hopping Vampire (China), Milu (Hawaii), Spring Heeled Jack (England), Mephistopheles (Germany).. Wallpaper and background images in the Living Dead poupées club tagged: photo living dead dolls. Banshee (Ireland), Hopping Vampire (China), Milu (Hawaii), Spring Heeled Jack (England), Mephistopheles (Germany).